Ves Bigshop Store is Responsive and elegant Magento Theme. It is implemented responsive design make sure the pages adjust automatically to the screens size . The clean and modern design allows you to use the theme for every kind of online shop such as Fashion Shop, Digital store, Mobile shop, Computer store…. This layout is bright and strict at the same time which makes a proper effect on customer. Template design accentuate the refined style of goods sold.. 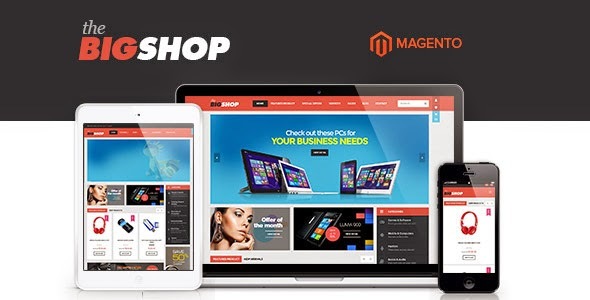 Item Reviewed: Ves Bigshop Responsive Magento Theme 9 out of 10 based on 10 ratings. 9 user reviews.